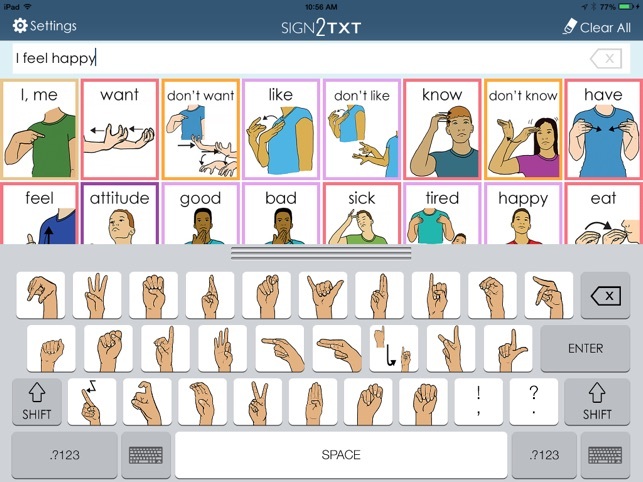 Sign2TXT is an app designed for individual’s are deaf, on the spectrum with autism or are non-verbal and who’s primary means of communication is American Sign Language. 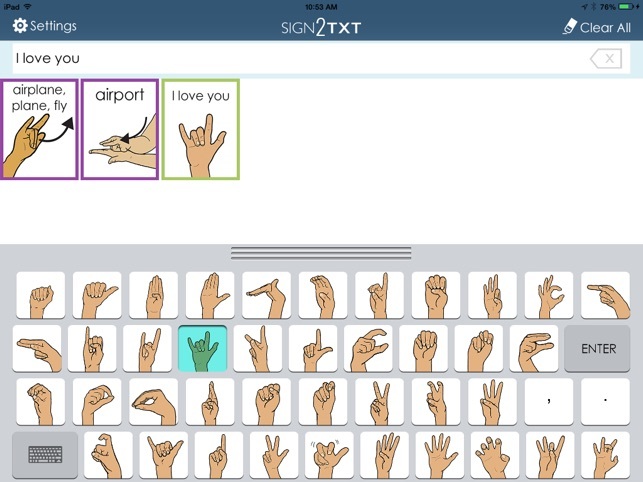 The app is designed to type the printed word when the tile with the sign representation is tapped. 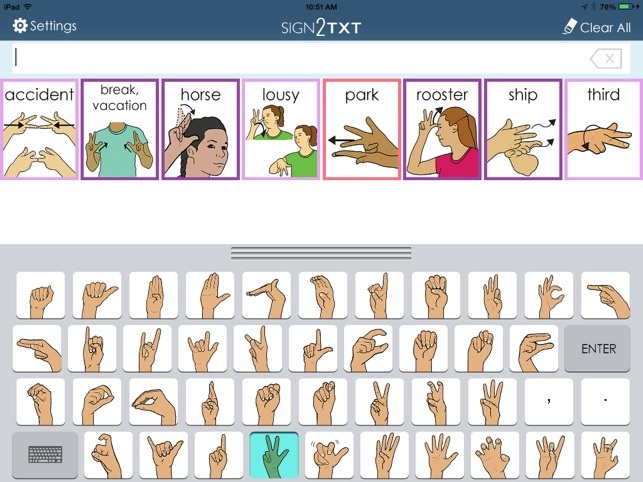 Sign2TXT is compatible the HandCraftEdASL’s curriculum products or as a individual purchase. 1. 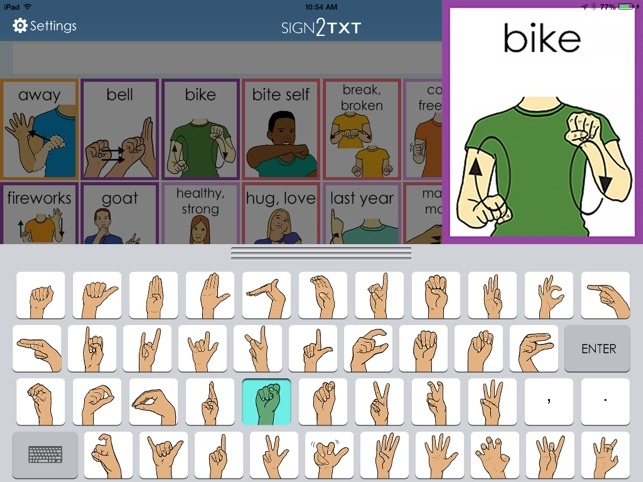 Sign representations for approximately 900 basic sight words ranging from K – 3 grade reading levels. 2. All of the vocabulary has a specific color coding to represent the part of speech in the English language. An explanation of the color-coding system is explained under the settings. 3. 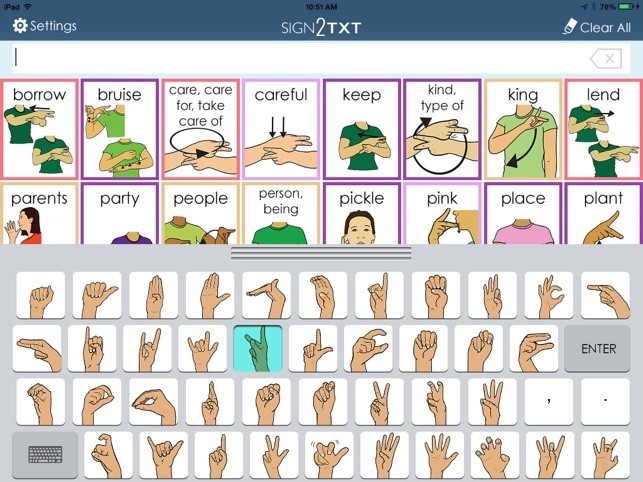 Vocabulary is categorized by the hand-shape of the signed representation. 4. A QWERTY keyboard using the manual alphabet is included for specific representations, such as; proper names, product brands, etc. 5. The user has the capability of copying the text to paste into FaceBook, Twitter, email or a word document. 6. Font size, spacing and use of capitols options are available. 7. Customization is not available at this time.